Spooked Television Releasing (2014). 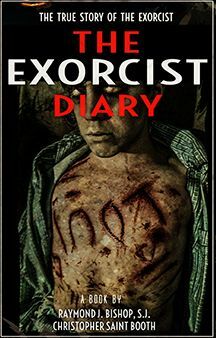 Unrated/Packed with Bonus Features.HIGHLIGHTS:*An investigative look into the hidden diary of the real Exorcist *Exclusive first look ever inside the actual Exorcist house and asylum. *The search and discovery of the lost Exorcism Room furniture (bed, desk, cross) said to be haunted and sealed in high security cold storage. *Decipher the Haunted Boy's bed sheets containing devil's messages and drawings including Aramaic writing and a treasure map of hell. 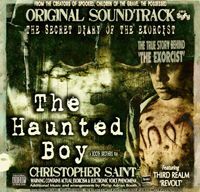 *First time ever, paranormal investigation of the asylum and house where the Haunted Boy was kept during his possession and the rites of exorcism. *Paranormal evidence including shadows, EVP's, hot and cold spots, light abnormalities and a cross shaped burn mark on one of the investigators. 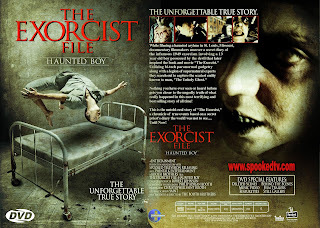 *Eyewitness reports and actual archive case files and family interviews.This is the untold-real story of "The Exorcist", a chronicle of true events based on the actual priest's secret diary the world was not to see, Until Now! WARNING: Graphic language and intense depiction of possession. 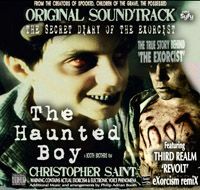 Audio contains Electronic Voice Phenomena (sounds of the dead) and actual recorded exorcisms. Intended for mature audiences and may be disturbing to some viewers. NOW ON DVD (Uncut) Order on right side of page…..